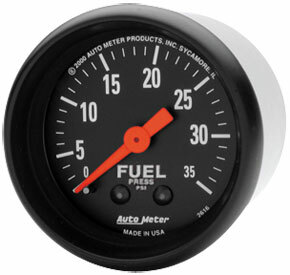 Undoubtedly you have heard from friends or internet forums that you need a fuel pressure gauge on your Cummins Turbo Diesel or else you run the risk of damaging your injection pump. This is true, but only if you own a 1998.5 (first year of the 24-valve engine) to 2002 truck. During these four years of production, a Bosch VP44 fuel injection pump was used on these engines. The VP44 is fuel cooled and needs to have more than 5psi to maintain proper cooling. 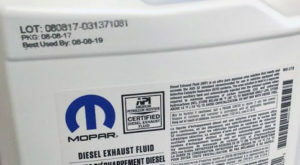 When the VP44 was added to the engine, the folks at Ram/Cummins also changed from a mechanical fuel transfer pump (tank-to-engine) to an electronic fuel transfer pump. After about 60,000 miles these electronic fuel transfer pumps were notorious for failure and/or would limp-along providing marginal fuel pressure. So, the truck might run okay, but lacking the 5psi of pressure and cool fuel, internally the VP44 would seize and you were faced with a $2,000 repair bill. 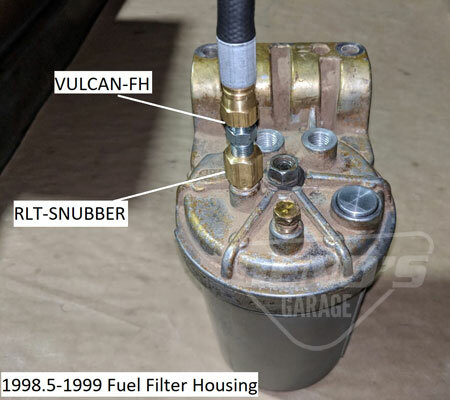 Hence the need to monitor fuel pressure of these 1998.5-2002 trucks also due to these issues, an entire aftermarket has grown-up to provide owners with better fuel transfer pump solutions. What happens if you own any other year Cummins Turbo Diesel and you have a fuel transfer pump failure? 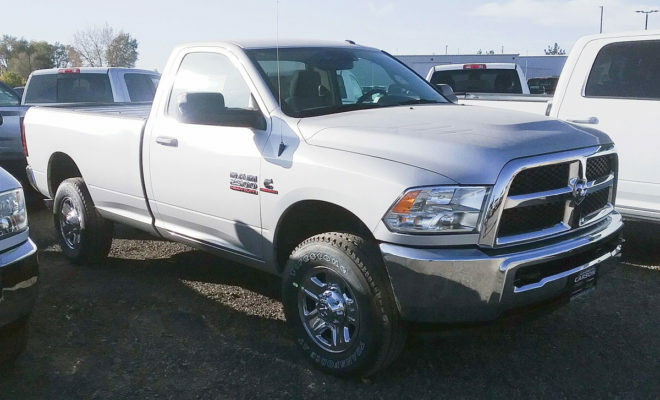 The truck will not start, so you will need to purchase a new lift pump. If your tank-to-engine fuel transfer pump fails, the truck will not start so you will need to purchase a new transfer pump. 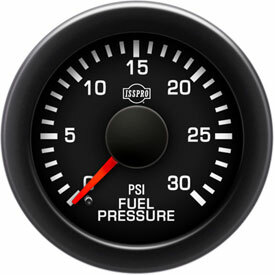 So every day we tell folks with 89′-98′ and 03′-current trucks, “You don’t need a fuel pressure gauge. Save your money”. 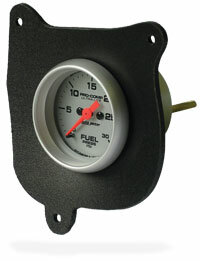 Often customers will want to buy a pressure gauge so they know when to change their fuel filter. The simple answer to this is change the filter every 15,000 miles as suggested by the owner’s manual. 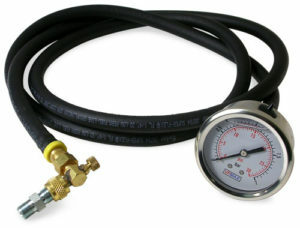 Consider the cost of a quality gauge kit which would be around $225 after purchasing a mount and various other installation components and shipping. In most cases, for the cost of a gauge kit you can buy a case of fuel filters and a spare fuel transfer pump. We thought you would never ask. Actual numbers: The ISSPRO outsells the Auto Meter 2 to 1. This kit comes with the needed fittings to check pressure at the fuel filter head (‘98.5-‘99) or the Schrader test port (‘00-‘02) on your 1998.5-2002 Dodge Cummins Diesel truck. 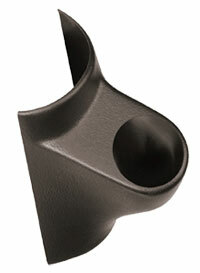 This fuel line will allow you to tie in directly to the fuel filter head on ‘98.5-’99 trucks. 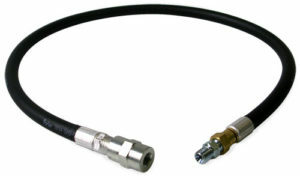 On ’00-’02 model year trucks the line will attach to the Schrader valve located on the side of the VP44. On electronic gauges, the sending unit will connect directly to the other end. 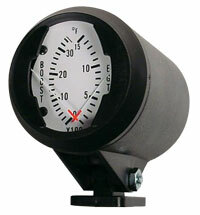 For mechanical gauges, the other end will be connected to the isolator supplied in our mechanical gauge kits. 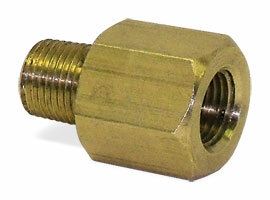 A snubber dampens the fuel pressure spikes (hydraulic hammering) that is common on VP44 injection pumps. 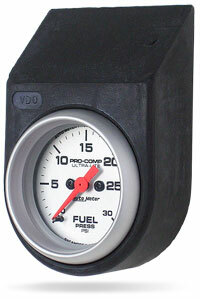 This can be installed on either end of your Vulcan Fuel Line depending on your configuration. 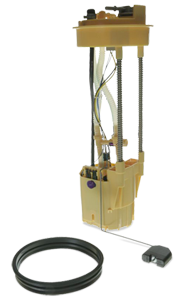 Using a snubber will help with pressure spikes seen on the gauge as well as extending the life of your electronic sending unit. Having trouble visualizing out how it all goes together? Mounts to driver side A-pillar. Can be mounted anywhere on dash. Mounts in bezel storage compartment. Intended for mounting under dash.